Prevention requires eliminating opportunities and incentives for people to engage in bribery and corruption. This requires a behavioural and attitudinal change in society. The Commission, based on its experiences, recognizes that in order to implement a policy of zero tolerance, it must make prevention one of its core goals. Developing and strengthening the Commission’s partnership with the public, civil society and community-based organizations will be a critical part of mainstreaming and broad basing prevention. The efficacy of the Commission, especially in prevention, depends on the wider institutional and legal framework, the ‘National Integrity System’ that consists of institutions, laws, regulations and circulars that have a direct and an indirect bearing on the Commission’s mandate. The interaction that was created between CIABOC and the civil society organizations greatly improved the confidence of the CSO to work with the CIABOC on prevention related work. CIABOC’s consultation with the CSOs on the ways of amending the Asset Declaration Act enabled positive and collaborative environment with the CSO collective. The active participation of TISL and LST to amend the Asset Declaration Act assisted CIABOC to come out with a timely and relevant end product which was in turn submitted to the Cabinet for consideration. The CIABOC presently maintains a website in English and two other local languages, i.e., Sinhala and Tamil. Frequent press conferences by CIABOC improved its public face, and the commitment to answer question from the media improved public access to information, and on certain instances, ensured smooth progression of investigations. In this regard, the CIABOC is supported by the civil society collective with their wider ground penetration and power of advocacy at various levels. CIABOC presently maintains a very informative Hotline 1954 and email ciaboc@eureka.lk providing access to lodge complaints electronically. CIABOC conducts regular public awareness campaigns at different levels in different geographies. Currently, CIABOC has submitted a cabinet paper to create a Prevention Unit. CIABOC has already taken measures and initiated discussions with the National Institute of Education (NIE) to incorporate education related to fighting bribery and corruption into the school curriculum. CIABOC and the Ministry of Education have commenced several long-term and short-term projects to educate the next generation. Short term projects include month of October being declared as the anti-corruption month in all schools, creative competitions in 7 segments, introducing regulations to curb corruption in the school administration. Long-term projects include introducing anti-corruption measures to schools' syllabuses, establishing Integrity clubs in all schools etc. The Constitution of Sri Lanka sets out the fundamental principles of law in the country. Accordingly, the sovereignty is vested with the people of Sri Lanka and the same is exercised through the executive, legislature and the judiciary reflecting a democratic setup of government. Public Trust Doctrine – since people are the repositories of sovereignty the entrusted power should be exercised by the government in good faith for the benefit of the people as it is a trust. Consequently, people have an entrenched right to freedom from corruption in any shape or form. The government practices and procedures are based on this fundamental rule of law. Fundamental rights under chapter III of the Constitution paves way for the state policy on the exercise of sovereign power. Fundamental rights, an aspect of sovereignty are not delegated and entrusted with any organ of the government and hence must be given precedence over governmental powers. This Article requires the government to act under a framework of recognized rules and principles restricting the discretionary powers of public bodies and officials. All statutes are based on rule of law. This chapter requires all persons to refrain from corruption and also to expose corruption of which he becomes aware in order to protect public property etc. Though these rights or obligations are not enforceable, every public officer who mandatorily takes an oath of allegiance is bound by these principles. It further enshrines corrupt-free guiding principles for the “state “ in carrying out its duties. Basic structure of the public service with basic standards guaranteeing its proper management, transparency in the system, disciplinary procedures, etc. are set out under chapter IX of the Constitution. State fiscal policy and auditing process is stipulated under Chapter XVII of the Constitution guaranteeing its transparency, continuous monitoring, accountability etc. Election policies ensuring free and fair elections for the public to elect their representatives are set out under chapters VII and XIV of the Constitution. The 19th Amendment to the Constitution provides greater recognition to the principles of rule of law, proper management of public affairs and transparency etc. The 19th Amendment to the Constitution recognizes society participation.  UNCAC and other relevant international conventions bearing upon the prevention of corruption, to which Sri Lanka is a party were given Constitutional recognition under Article 156A (1)(c). The establishment of Constitutional Council with the participation of 3 citizens, strengthening of 10 independent Commissions under the Constitution, enactment of Right to Information Act are significant contributions to the legal system of the country to address Article 5(1) of the UNCAC. Right to information is enshrined under Article 14A of the Constitution. Several legislaions and guidelines are in place to prevent corruption in the private sector. Eg. Companies Act No. 07 0f 2007. In October 2015, Sri Lanka endorsed the Open Government Declaration in order to enhance society’s participation in governance.